February is American Heart Month, making it a great time to check in and make sure you’re giving your heart the love it deserves. 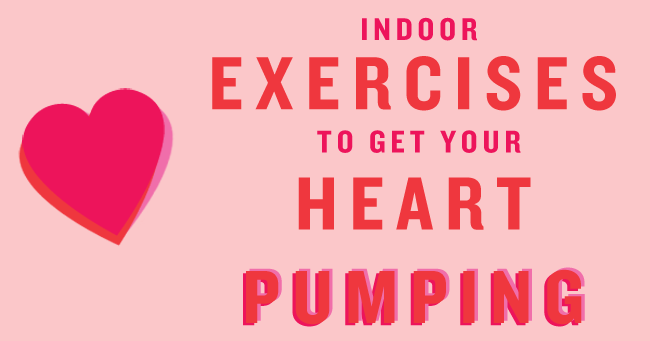 In addition to eating a healthy diet, the Mayo Clinic lists “exercising for 30 minutes on most days of the week” as one of the best ways to prevent heart disease. We know it can be hard to find 30 minutes to set aside for a workout, so we compiled some exercises you can do at home to help get your 30 minutes in every day. (If you need, you can even split your workout into two segments: 15 minutes in the morning and 15 minutes in the evening!) To keep yourself entertained during your home workout, try listening to upbeat music or watching an episode of your favorite sitcom. Run in Place: If the weather isn’t great outside, it can be tough to get out for a run. Luckily, you can run in place without facing the elements. If you think you might need some pointers on the right way to do it, the video below may come in handy. Jump Rope: Jumping rope isn’t only for the youngsters – but it is a great way to get in a sweaty, calorie-burning workout in a short amount of time. Jumping Jacks: So easy! And a great way to get a full-body workout without any extra equipment. Lunges: Focus on toning your legs and gluts with this exercise. To avoid injury, make sure you’re practicing proper form! If you need a refresher on form, check out the video below. Wall Sits: Sure, you deserve some time to relax in your easy chair. But every once in a while, do your thighs a favor and sit chair-less. All you need is a wall! Place your back against the wall and slide down into a squat position as if you were going to sit in an invisible chair. Before embarking on any new exercise regimen, consult your doctor to make sure you’re doing what’s best for your body! 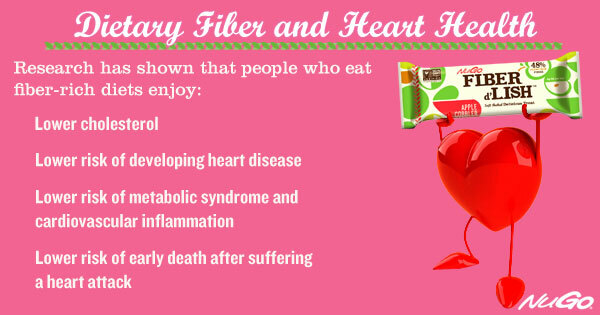 Learn more about how fiber can help with heart health by reading our Heart Health blog post!